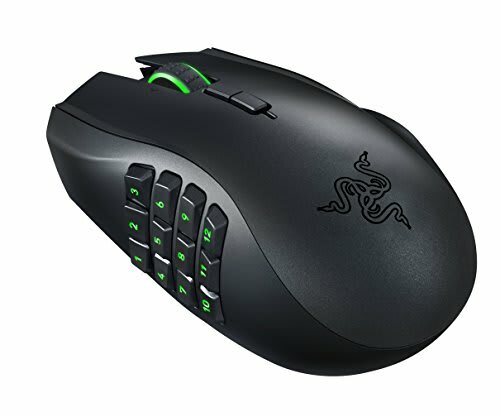 What Are Your Favorite/Current Mouse and Keyboard Setups? I am digging my new remote work setup but I still need to hunt down a wireless mouse/keyboard setup that is compatible with Mac and Windows. My current Logitech K350 setup has atrocious lag on a Mac which renders it almost unusable. So I'm asking the incredible community here. What are your favorite or even just your current mouse and keyboard setup? Have you had to have a setup that went across platforms? Also looking for links to any recommendations! I'm using Fortitude60 and Magic Trackpad 2. 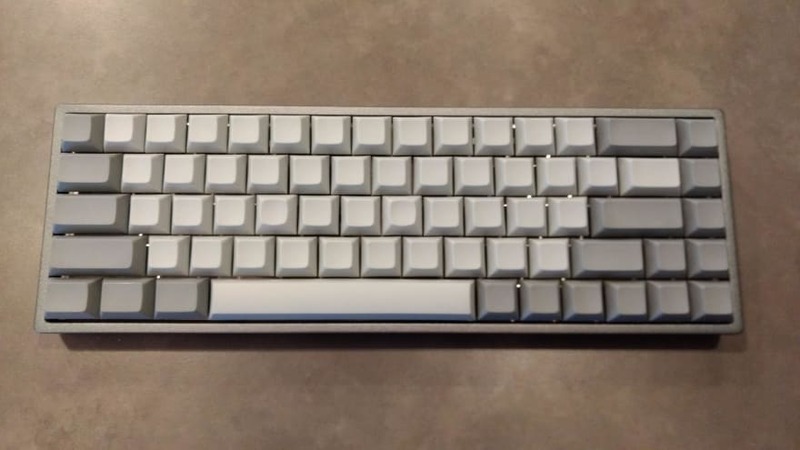 Fortitude60 is a self made keyboard. I made this keyboard with Soldering iron. Key map could fully customized and keycap and key switches could customize too. Thats so cool! Where can i get the PCB and other components to put together one myself? Those are Japanese shops so it might be hard to get from them. Wow, that is impressive. I don't think I'll be going down this path, but very cool none the less. I'd love to try a roller mouse myself but they are really expensive. I am quite fascinated by the mechanical keyboard trend. I find them to be quite noisy, but maybe that's just because I haven't tried one out yet. It depends on the switches a keyboard uses. Some are louder than others. And you can get some sound dampners for them as well that cuts the noise (at the expense of some key travel). That RollerMouse looks really really slick! I'm using the ErgoDox EZ (with blank keys, because I like to look like a badass) and the Logitech MX Master. 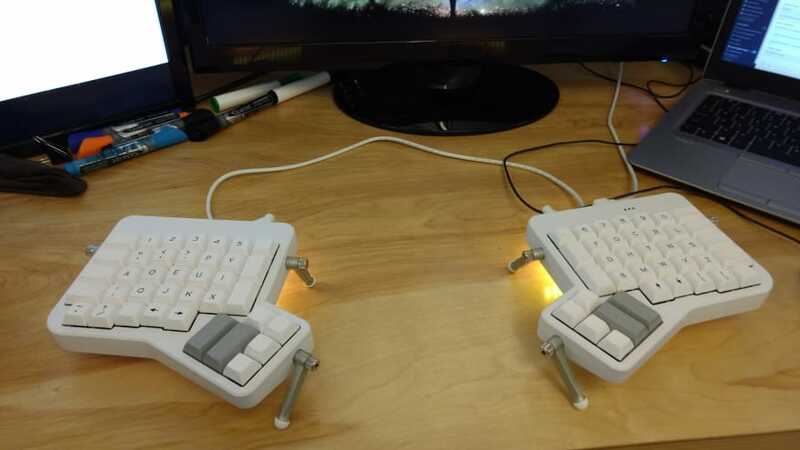 I'm curious about switching to a laser trakball or vertical mouse and would LOVE to upgrade to the latest ErgoDox EZ model so I can switch out switches to my heart's desire. Because it is big enough to let my hand rest on it in a comfortable position. It is also precise in terms of accuracy and I like the DPI-switch button to be able to scroll infinite or to have a scrolling resistence. This model has button on the side also to navigate more quickly (when using the mouse of course). I got mine during the funding phase for $129. I like switching between those two and this model attracted my attention when it was funded. 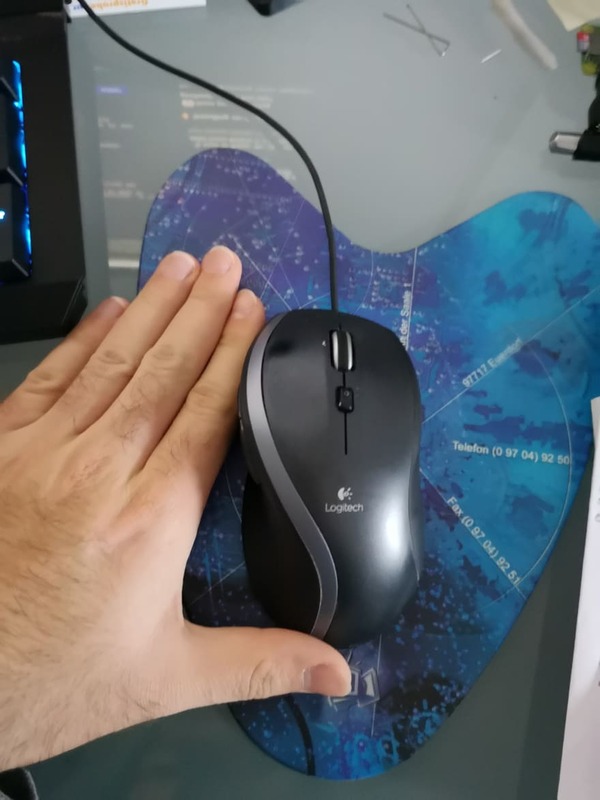 It is more ergonomic then I thought, I recognize the relief of my wrist after using it just half an hour after the normal mouse! 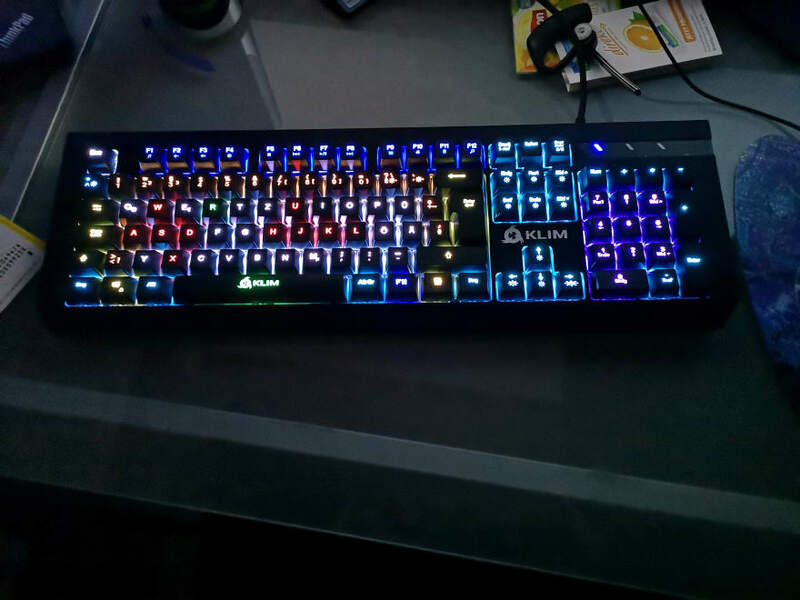 I wanted a keyboard with fully customizable LED colors. This is just for fun but it was one of my initial requirements. They keys should not stand out too high so a smooth gliding while typing is possible. The noise is not too loud even it is a mechanical keyboard and they naturally make noises. The keys give a feedback on pressing them that feels smooth. I wish there was such a thing as a good keyboard, but I've not found one. I spent tons of money and bought two Logitech G710+'s back in the days when I first tried it out and it seemed excellent, but the build quality is terrible and I broke literally like 20 caps on the two of those in the about 2-3 years I tolerated them. I've never broken a cap in a keyboard before or since then, and the internet is full of similar stories and not even a hint of recognition of a problem from Logitech. Nowadays I'm using a pretty cheap mechanical QPAD MK-50, has worked perfectly fine and the only issue is that it's a bit louder than the G710+ was, and the keys are a bit more stiff than I'd like. I really liked the Logitech Wave for the slight curves it had but I couldn't find anything like that, that was mechanical, and a mechanical keyboard is pretty much a must for me nowadays. I also use Microsoft All-in-one media keyboards for a few things, AES-128 encrypted wireless keyboard + trackpad combos that seem to be pretty much the best money can buy in that style of a keyboard. I wish there was more of a gap between the trackpad and the keys tho, I keep accidentally poking at the pad when I'm trying to type. For the mouse I've got an even sadder story, my main mouse is a Logitech G700, bought over 7 years ago, and there's nothing else on the planet that comes even close to being as good. It's a combination wired/wireless with a rechargeable battery - unplug the USB cable from the mouse and it's wireless. Quick DPI change options and more than enough buttons in general, though I'm old fashioned and only use the 2 + wheel really. Also the wheel has an unlock button that allows it to free spin at huge speeds with minimal effort, which I can't live without anymore. Excellent fit in my hand, perfect features, obviously durable. Can't really go wrong with that. I've tried various other mice, but really only Logitech seems to make mice with the features I like. Annoyingly most of Logitech's are also either too small, or too weird with like 12 buttons or something ridiculous like that. Oh and it really irritates me that the trend in keyboards is to make completely useless idiotic additions, backlighting, hell sometimes even with RGB lights, extra displays, tons of media keys (especially love those poorly placed power off and sleep keys that you press accidentally), and all kinds of other nonsense, and then you can't find a solid good keyboard that's good for typing a lot on, as well as gaming (i.e. anti-ghosting features). My current setup is an older model apple keyboard without the num pad and an older model magic mouse. Not super happy with this setup as I miss having a num pad and the mouse often drops its connection. I think if I were to make a switch it would be to a Logitech MX master wireless mouse paired with a current generation apple magic keyboard. I have the wireless Logitech MX master and absolutely love it. It's nice and comfortable, glides smoothly and I've never had issues with connect. I think the mouse wheel is honestly my favorite part of it with the ability to freewheel. My keyboard presently is the Black Widow Chroma. I'm not too fond of the Razer software issues lately but the keyboard works great so I see no need to replace it, I'll likely switch brands when I do though (either Corsair or DasKeyboard). I couldn't survive without a num pad, and a mechanical keyboard is a must for me. The UK layout of the Prime 13 is buggy! A special feature of the Prime 13 is the flipped position of the symbols for the shift key (e.g. : ;:? ), which are on the bottom, while the normal symbols are on top (e.g. : ,./). It's actually not so weird as one might think, because the backlighting is on the top of each key, so the top symbol (normal) is brighter than the bottom symbol (shift). But they forgot to flip the symbols on the 6 UK keys that differ from the US layout. 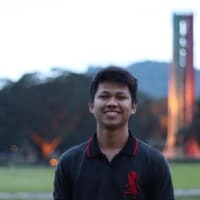 I asked the support of DasKeyboard about this issue and they confirmed, that it's not an individual problem, but all Prime 13 keyboards with UK layout are affected. Thus they cannot help me. Very disappointing. Now I've got an incosistent keyboard. I have two. 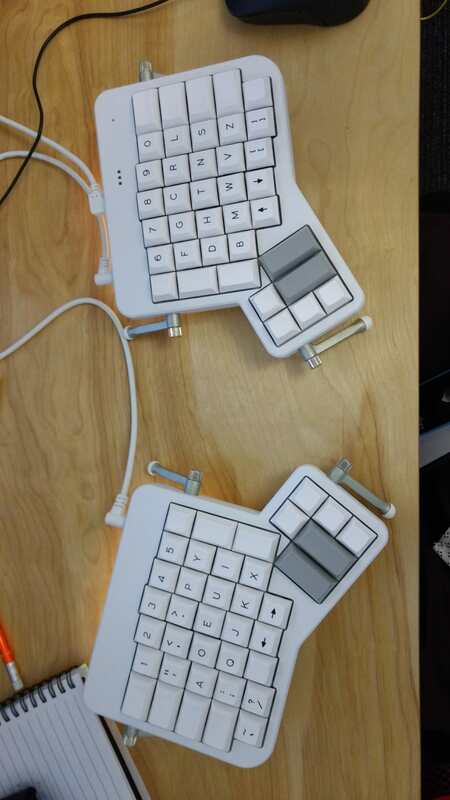 At work I use an Ergodox EZ with Cherry blue switches (my coworkers are very understanding to let me continue to use that in office). I love the stress relief that comes from letting your shoulders rest with your hands further apart by splitting the keyboard. I've been using the Ducky One Two and the Logitech MX master at work for a year now. Love them both. Just stock Apple keyboard and mouse at home though - can't wait to swap these out. Logitech Craft Keyboard + Logitech G305. Both wireless, great connection, insane battery life, and Windows/Mac compatible. I swap between gaming on Windows and developing on a Mac with these and love them to death. Cooler Master MasterKeys pro S with mx brown with o-rings and QMX sound dampener clips. 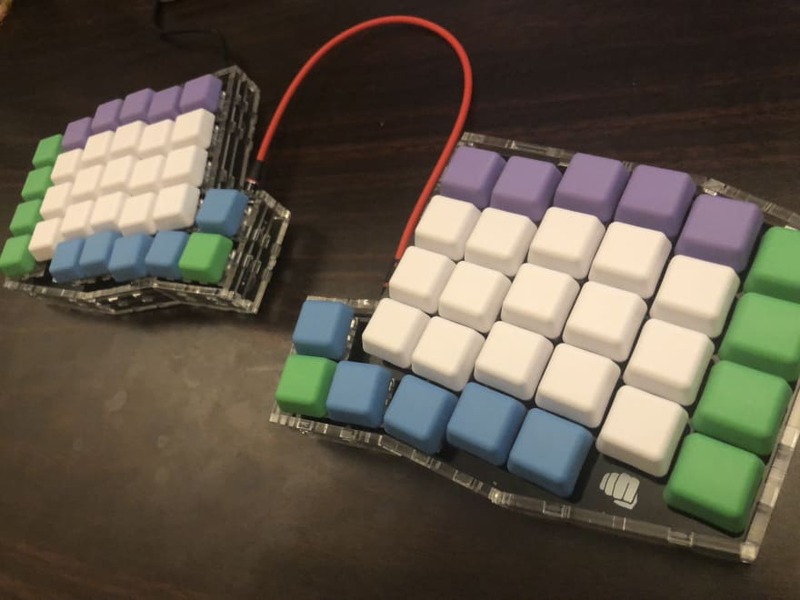 Looking to change to a split keyboard like the ergodox EZ with cherry MX clear. I am not too proud of my current mouse, however, I fell in love with my Das Keyboard Model S Professional Mechanical Keyboard when I bought it years ago. I am very tempted to get their newer models, but my current one is working well so it'd be hard to part with it. 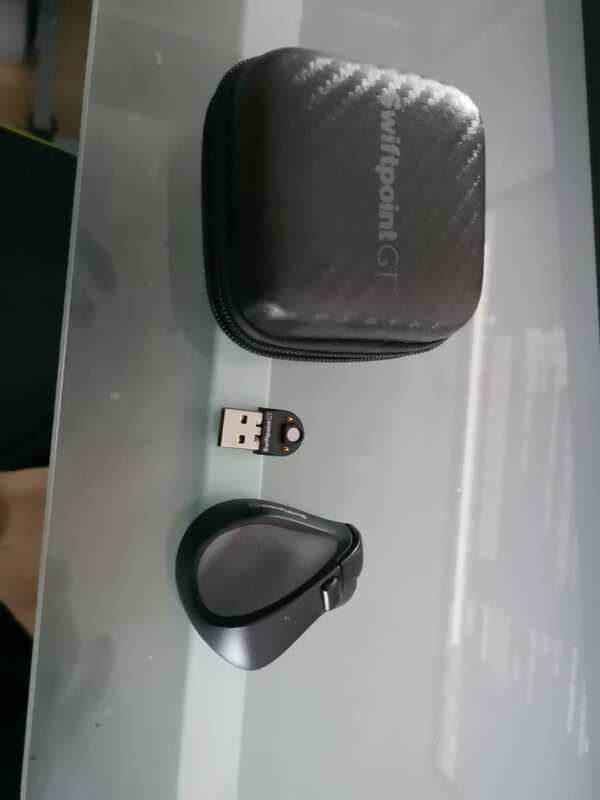 For gaming on my PC: Logitech G810 Orion (can pick colors per key) and G903 mouse (in wired mode). Mostly it’s consistency and what works for you. If there was only one ‘best’ keyboard we wouldn’t have hundreds of options to choose from. I absolutely LOVE my keyboard/mouse combo. On Windows, I’ve gone through Microsoft Ergonomic Keyboard to Code Keyboard to Ducky Shine Five. For MacBook, it’s the Apple Keyboard and trackpad. For mice, I’ve used mostly standard mice, tried the ergonomic vertical mouse which was not bad, but went back to the standard mouse. I can’t stand a mouse with too many buttons as I keep clicking random buttons and random stuff starts happening, lol. What are your favorite or even just your current mouse and keyboard setup? My current one is my favorite one: This Model M keyboard (yes, it is mine; I discussed keyboards here) and a Logitech G402 mouse which has a pretty good durability. (I'm not a gamer.) :-) It works quite well across "platforms". At work, I am currently using a cheap Fujitsu keyboard and a cheap Fujitsu mouse. I'm in the process of buying a Model F as a replacement keyboard though. I make too many typing mistakes with those flat keys. edit: I tried wireless keyboards/mice once. I soon grew tired of having to replace the batteries. The one I'm using now is no longer sold, and I've had my eye on the newest version which would let me switch the side-panels as I desire. I just haven't had a reason to replace this one as it hasn't given me a single problem in the years that I've had it. At work and home I have cherry brown switch keyboards and logitech G502 mouses. At this point it is hard for me to use anything other than a cherry brown keyboard as they are just so consistent. The G502 is pretty ergonomic and works well for both work and games. I'm using a Tada 68 (aka Saber 68) and an Anker Vertical Mouse at work daily. I will say, the biggest issue I've found with non-Apple mice is that even the basic back and forward mouse buttons need software to map to the correct action. I'm using BetterTouchTool to remap the back and forward buttons but I think there are other applications that do the same too. I'm using the Corsair K70 keyboard with a weighted mouse I can't remember the name of. Currently rocking a Logitech MX Master and KBC Poker II with anodized aluminum case.